The use of images is a device used by war correspondents to recall the actions of the armed forces of their countries. 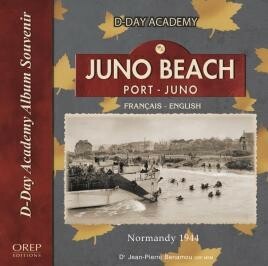 This book looks back to June 6th 1944 and the landings by the Canadians on Juno Beach, immortalised by these images of the tense fighting, dramas and victories of that day. This book is a photographic journey of a glorious past, a past that will never be forgotten by the communities who experienced it but who also look to the future.